A summer day at the end of June, Nadia, my partner in wine, came to pick me up in the morning to go to Montefollonico and Montepulciano. 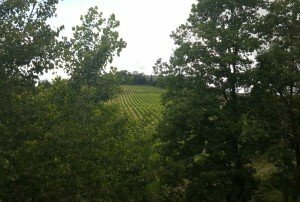 We had decided we would tour a couple of wineries in the area, and one of them was Tenuta Valdipiatta just outside Montepulciano. 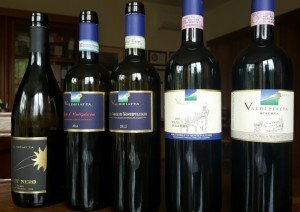 In an earlier article last year, I already wrote briefly about their Vino Nobile di Montepulciano DOCG Vigna d’Alfiero from a wine tasting we attended at the wine shop of the Consorzio del Vino Nobile del Montepulciano. That way, I also came in contact with Miriam Caporali, the owner of Tenuta Valdipiatta. As I already wrote an article last year about the history of the Vino Nobile di Montepulciano, I am not going to go deeper into that here. For those of you who are interested, you can read more in my article from 2015 The Essence of Nobile di Montepulciano. Tenuta Valdipiatta was bought by Miriam Caporali’s father, Giulio Caporali, in the late 1980s as a way to fulfill a dream of his to produce wine. He managed to turn the small farm and the few acres of vineyard on the hills outside of Montepulciano into a successful winery in just a few years. He considers this estate his own secret paradise, or ”Shangri-La”, which is the well-known literary reference that he himself uses. Today he mostly dedicates his time to more literary and historical studies, even though he is, of course, still involved in the agricultural side of the estate business. 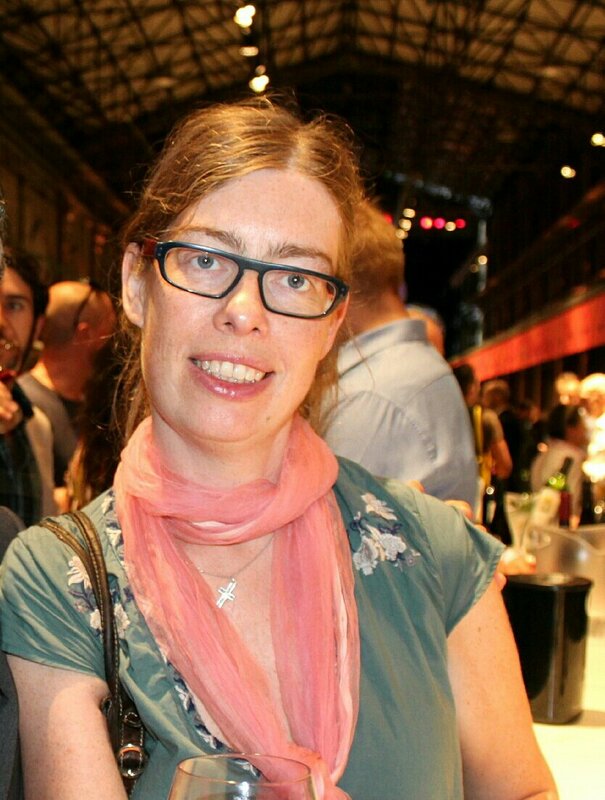 In 2002, his daughter Miriam took over the ownership and management of the winery after having worked side by side with her father since 1997. She also did a Master in oenology at the University of Bourdeaux in order to prepare herself for the future running of the family winery. Furthermore, they consult an external oenologist as well as Prof. Yves Glories, who is Dean at the Faculty of Oenology at V. Segalen University in Bourdeaux, in the winemaking processes. 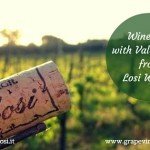 At Valdipiatta winery, they do not only cultivate Sangiovese Grosso for the Vino Nobile, but indeed they grow a wide selection of grape varieties. More precisely, they grow the white grapes Grechetto, Trebbiano, and Malvasia that they use to make their Vin Santo. Since 2010, they also make a Vin Santo Occhio di Pernice (made with red grapes) with Sangiovese grapes. Regarding the red grapes, they grow Sangiovese, Canaiolo Nero, Mammolo, Pinot Noir, Petit Verdot, Merlot, and Cabernet Sauvignon. I will come back to discuss the interesting fact that they grow Pinot Noir and the wine they produce with this grape variety. Now, let’s focus on the Sangiovese which, of course, has the leading role in the production of their Rosso di Montepulciano DOC as well as in their different Vino Nobile di Montepulciano DOCG. The two oldest and most important vineyards of the estate is the Vigna d’Alfiero and the Sanguineto. Vigna d’Alfiero comprises 7,5 acres of vineyard that were planted by the farmhand Alfiero Carpini. 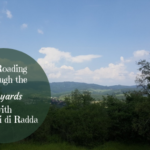 He has planted most of the old vineyards on the estate, and the Vigna d’Alfiero and Sanguineto have then to a great extent remained untouched, while other vineyard lots on the estate have been replanted and renewed from the 1990s onwards. As a way of honoring the work of Alfiero Carpini, his name has been given to the Vino Nobile di Montepulciano DOCG Vigna d’Alfiero. The Sanguineto vineyard comprises 12 acres which are divided into 5 micro lots where they cultivate the Sangiovese grapes that are used for the Vino Nobile di Montepulciano DOCG Riserva. Both Sanguineto and Vigna d’Alfiero were planted in the 1960s by Alfiero Carpini and they were planted according to the technique one used in the past with a large spacing between the vines. Valdipiatta winery is in their second year of conversion to become fully organic and certified. 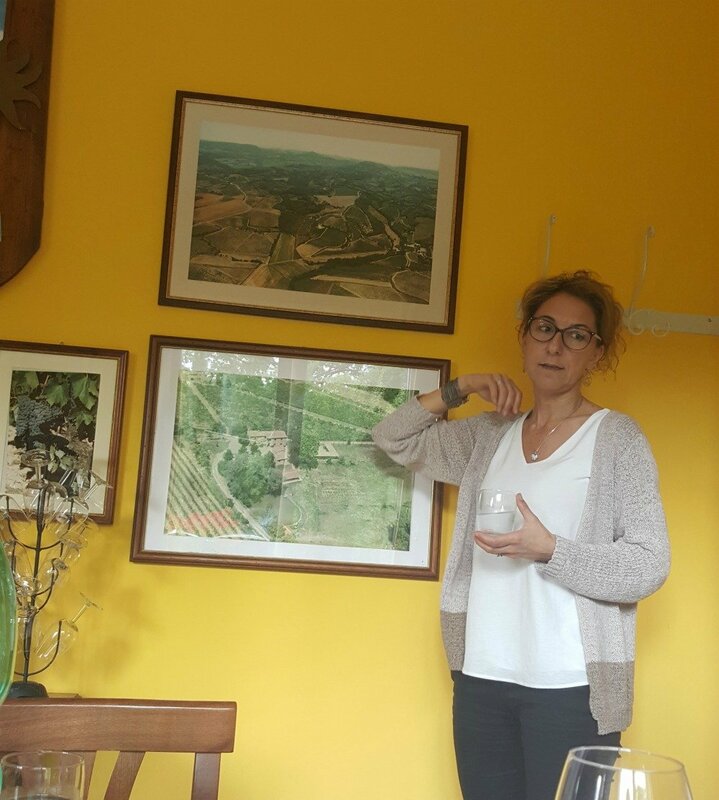 Miriam told us how she believes it to be very important not only for the winery in itself but also to, in a broader perspective, start becoming more aware of the nature around you and take responsibility for how you pursue your farming activities. The nature around us is something precious and thus it is important nowadays to be sustainable also for winemakers and wineries. 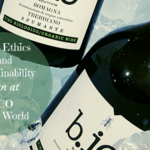 So far only around 10% of the wineries that are members of the Consorzio del Vino Nobile del Montepulciano are organically certified, though a certain number of wineries are in the process of converting to organic farming. Processes such as green manure and treatment of the vines with only organic substances are important in order to reduce the use of chemicals to a minimum. At Valdipiatta, they are using oat, mustard, and protein-based peas for green manure this year. To read more about organic farming, see the article Organic Farming at Montemaggio. Here I am not going to do a deeper analysis of all their wines, but rather only talk more in-depth about a couple of them. They produce Chianti Colli Senesi ”Tosca” DOCG, Rosso di Montepulciano DOC, Vino Nobile di Montepulciano DOCG Vigna d’Alfiero, Vino Nobile di Montepulciano DOCG Riserva, Valdipiatta Pinot Nero IGT Toscana, and a Vin Santo. They harvest a first part of the Pinot Noir grapes at the end of August and beginning of September by picking the main grape bunches and start with the winemaking process. At the end of the harvest, more or less a month later, they harvest the femminelle, i.e. the buds that grows out again on the vines. During recent years, the femminelle have been more or less as many in numbers as the main grape bunches. 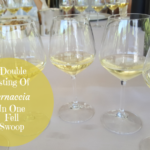 The femminelle has a lower sugar concentration and a higher acidity, therefore, they do a mix of the main bunches and the femminelle where the percentage of each is dependent upon their quality during the year in question. For example, 2007 was a very warm year and thus they used more femminelle in the mix in order to add a bit of more acidity. They do not produce the Pinot Noir wine every year though, only in those years when they consider the grapes to be of high quality. The first year they produced and bottled Pinot Noir was in 2004. Now, you might think that it seems very unusual to produce Pinot Noir in the heart of the Nobile di Montepulciano area in Tuscany. We were very surprised too at first when Miriam told us that they also produce a Pinot Noir wine. However, their Pinot Noir is indeed very interesting. We tasted a 2007, which is an elegant wine with smooth tannins. The only thing is that it is a wine which needs a long maturation in the bottle, thus they let it age or mature for a longer time before they market their Pinot Noir wine. This Pinot Noir you can pair with meat as well as with seafood. To start with a comment about the soil, the elegance of the Vino Nobile di Montepulciano comes from the clay soil which functions as a sort of natural sponge under the ground level. As mentioned above, this wine has been named after Alfiero Carpini who was the farmhand and only employee at the Valdpiatta winery when Giulio Caporali bought the estate. Thus, Alfiero Carpini became the historical memory of the farm for Giulio Caporali so that he could learn the particularities about the soil and the terroir in that area. In fact, the label of the Nobile di Montepulciano DOCG Vigna d’Alfiero bottle has been created from a photo of Alfiero Carpini while he was at work in the vineyard. What is then typical for this vineyard and the wine? Well, the Vigna d’Alfiero comprises 7,5 acres of vineyard, but it is mainly grapes from about 2 acres of these at the top of the hill that are used to produce this Nobile di Montepulciano DOCG Vigna d’Alfiero. The grapes from Vigna d’Alfiero has a touch of something very sensual, smooth, and full-bodied, with very distinct notes of fruit. Miriam herself, says that it is a vineyard which is bold, not at all timid, that wants to give pleasure, and that produces wines with very smooth and silky tannins. It is 100% Sangiovese and, indeed, it is a very elegant and well-structured wine with a long finish. The grapes to produce this wine comes from the Sanguineto vineyard, as mentioned before. However, in some years it is a mix of grapes from the Sanguineto vineyard and the 2 acres of the Vigna d’Alfiero that is used to produce the Nobile di Montepulciano DOCG Vigna d’Alfiero. As the grapes that are not used for this latter wine, in that case, are used for the Riserva. 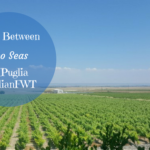 The Sanguineto vineyard, in contrast to the Vigna d’Alfiero, is more austere and introvert if we are to continue to attribute more human feelings to the vineyards. It is a 100% Sangiovese with notes of red fruit, black pepper, intense aromas, and elegant tannins. The ageing takes place in Allier oak barrique for 12 months followed by another 24 months in barrels of Slavonian oak. Thereafter, it is matured for another 6 months in bottle. 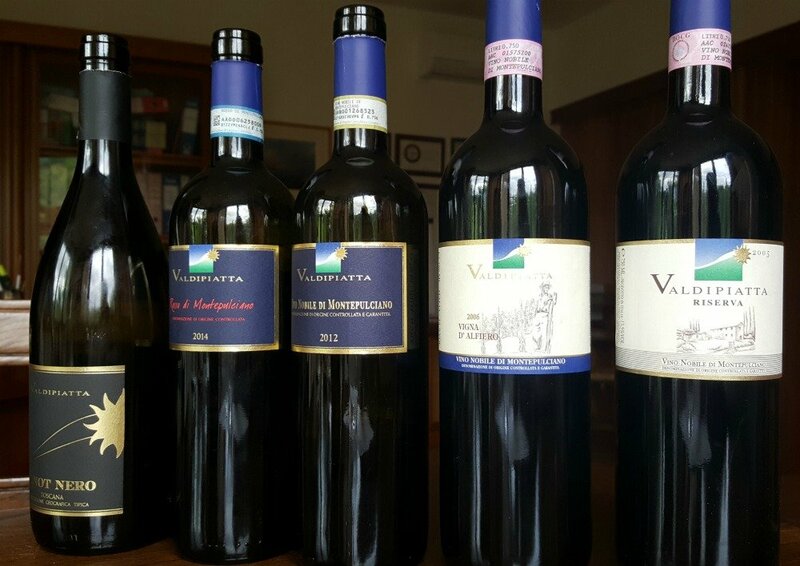 Valdipiatta Winery is situated beautifully just outside Montepulciano in Tuscany. 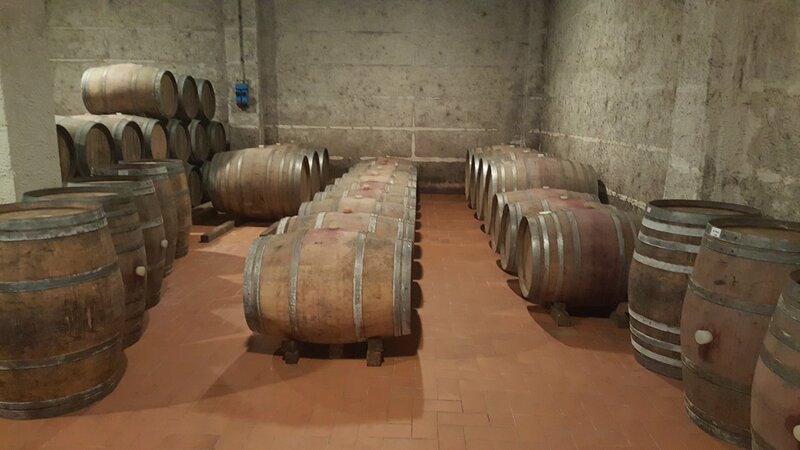 They produce a wide selection of wines ranging from Chianti Colli Senesi to Rosso di Montepulciano DOC and Vino Nobile di Montepulciano DOCG wines. They also produce a Pinot Noir and Vin Santo, both well worth to purchase and taste. Just write or give Miriam Caporali a call to book a visit or wine tasting, would you like to visit Tenuta Valdipiatta. You have a beautiful way of describing wine making, wine tasting, scenery, and people. I always feel like I am right there with you. What a beautiful story and fantastic education on wine. The photos really invited me into the experience. I’m curious. 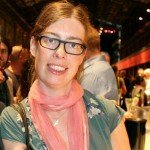 Is organic wine sulfate free? Just love your way of describing the wine making. We love to tour wineries as we travel, but most pale to the ones you describe. But, even if in Arkansas, I can still imagine tuscany! Beautiful and fantastic story. I did enjoy the video of the vineyard. It makes me wanna take a tour too and enjoy the scenery. Outstanding artical on Tenuda Valdipiatta Winery! We discovered Tenuda Valdipiatta a number of years ago and have had the pleasure to walk the vines. Miriam has always been a great host and is a true friend. Very well worth ordering wine from them! Thanks Ted, for your comment. And, yes, Tenuta Valdipiatta and Miriam are great and their wines too, truly a place to visit for any who pass by Montepulciano.